Summer truffle peelings, harvested in France in season. The truffles are cleaned and sliced, then steamed and preserved with truffle juice and sea salt. 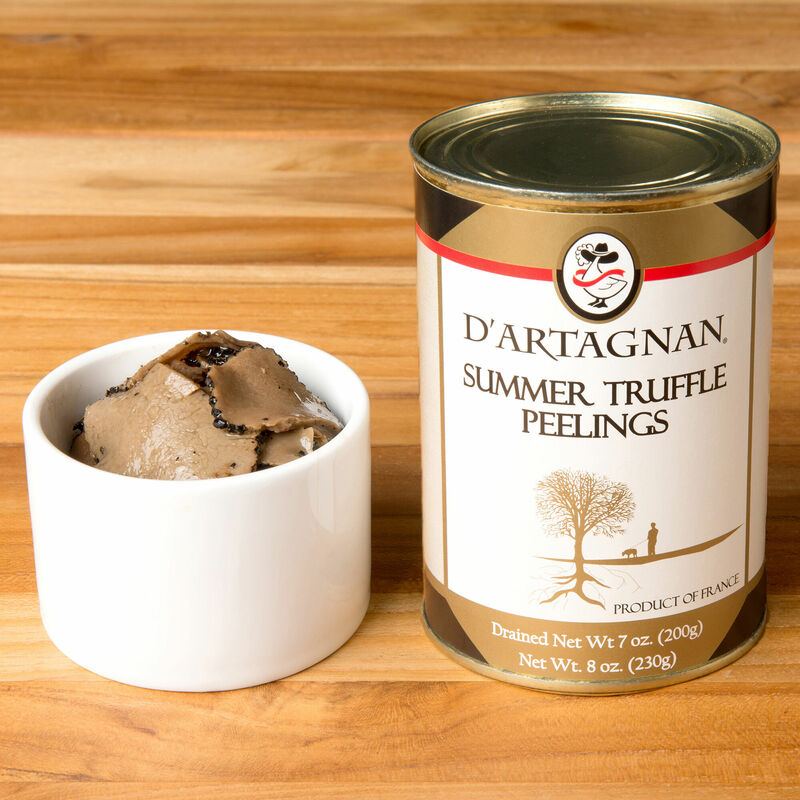 Summer truffles have a delicate flavor and a wonderful, slightly nutty aroma with notes of hazelnut and fresh earth. Our preserved truffle products are the perfect alternative when the fleeting season for fresh truffles comes to an end.